Why do i want a 10 year old thinkpad ? Never looked at these thinkpads nor do i have a reason to own one of them because i already have a game pc, htpc, backup dual core and a hp probook for work, and still for the passed 3 weeks i look around all day for a cheap one for sale. Its kind of driving me nuts, i fell in love with the look of these laptops and of course would want a 'frankenpad'. So should i really ? Same thing happened to me about 5 years ago when i wanted to collect vintage audio equipment, constantly on the look out for ads and now i have an entire 1976 AKAI setup in the living room and a 1979 Pioneer setup in the office. Then short after i HAD to have a Commodore 64 "because i had one as a kid" and now i have an entire setup in the loft collecting dust. What is this nostalgia bug that every now and then comes around the corner and bites me in the cheeks ? Re: Why do i want a 10 year old thinkpad ? For your answer, read this: COLLECTING VINTAGE THINKPADS: HOBBY, MENTAL DISORDER OR BOTH? Certainly, a 22" screen on any newer system resolves the first, especially if you have one that rotates to portrait mode. Or you use any Apple product which never totally embraced the widescreen movie format that plagues the smaller laptops. Same goes for item two if you have a nice mechanical keyboard for real document creation and processing. Of course the frankenpads seem fast with their SSD drives but in reality they are just dual core processors that are the lowest processor that is capable of running Windows 7, the other piece of productivity software most power users need. "Why do i want a 10 year old thinkpad ?" You don't. 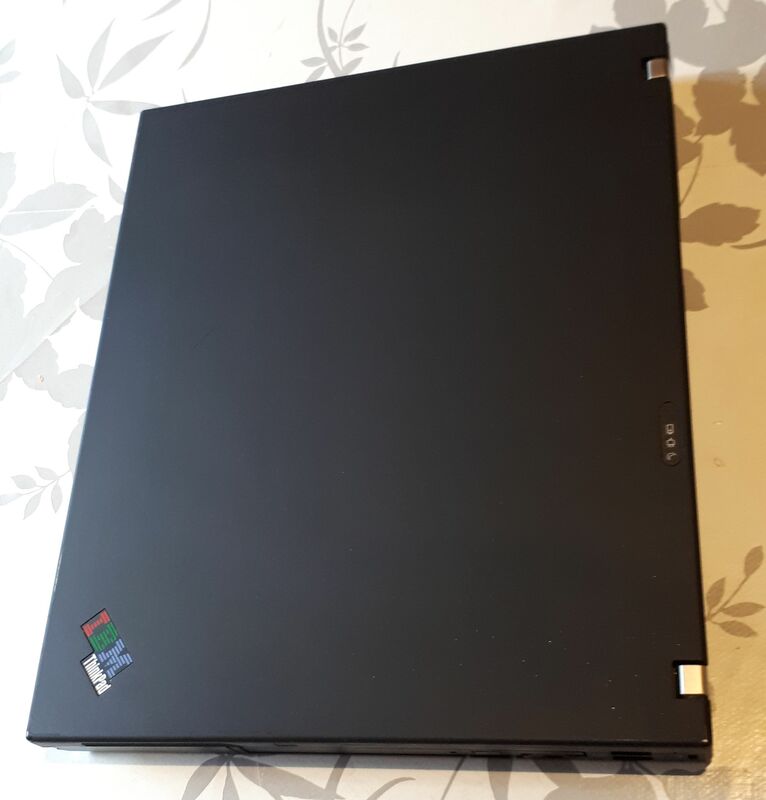 You want a 25 year old ThinkPad! A lot of it is being able to afford the toys that you can't afford earlier in life. Speaking of audio, I finally got NHT 1.3 speakers that I always wanted but couldn't afford during my high school/university years. Already got and moved on from the Porsche. Vintage women? Still can't afford them. I agree fully FultonTech. If you are going to do programming, it better be in Borland Turbo c++ ! A yearning for things from a time when life was much simpler, maybe? 1. practicality it's the reason i let go of the 760XD -- it was getting too slow, no USB, damaged screen (still works though), and bad keyboard. 2. stinginess -- I got a 560E for free, but the screen was dead, it won't boot past the BIOS screen, and I don't think I can get it back to working order without spending a significant amount of money. So it's currently on my shelf, disassembled. An X61 would probably be great for what he is looking for. Retro with 4x3 screen and no nasty trackpad and with enough performance that it is usable today with your OS of choice. Also can be found with the IBM logo on the palmrest and has a great keyboard. tempted to drive and pick it up and slap my other free OCZ ssd in it. And the T7200 cpu can be found for pocket change. Man, wish i had a thinkpad when i was in school, i did al my cad / solidworks with a celeron and 512 MB ram and integrated graphics. My x86 device back then (2010s) was a Lenovo netbook with an Atom and 1GB RAM. Then later I got the ThinkPad T43 with PM 750, X300 and 1GB RAM, retired from dad. It was a pleasant "upgrade", so let that sentence speak for itself about my horrible experience with that netbook. T60 in europe are at least €50 and without battery/hdd or anything, and widescreen. imma keep looking, the guy from the €12 R60 does not reply back. Just ordered a 14" T60p, T7200 cpu and 128GB sandisk ssd. It is likely that you do not. However I don't think it can be said in good faith that older thinkpads are worthles -- I personally use an X61s which is more than sufficient. But usually my recommendation would be a *20 series, or a *50 series. While staying on topic, as far as netbooks go, I've still haven't seen one prettier than the classic 240. Here are some good comparisons to late 4:3 thinkpads. Too bad the hardware is quite old. It's a pretty thinkpad but I do hate having machines that are not in use. I did have the regular TP240. Somebody threw in a 512mb stick of PC133 RAM and sure enough it was having all kinds of bsod when I first got it. Turned out the 512mb stick was actually also dead so I replaced it with a factory max of 128mb stick. I like how it is small and portable (and I also tried using it in school 2 years ago), but the screen is only SVGA (XGA only if you have the best 240Z) and the mono speaker on the palmrest doesn't sound better than modern cheap netbook speakers. Also, I'd like a laptop with an optical drive (all of my current laptops and desktops have one), so it was sent to some senior as a computer learning starter pack. That's quite a bit of RAM for an old machine. 8GB still feels excessive for my X61s! Using it for school? You'd probably really like an SSD and a wifi card there.. I was thinking of getting one myself for that exact purpose, but I'm holding it off for now -- I wonder if 240Z XGA will fit in regular 240. As far as resolution goes, I'd be happy if you could stick a 16:10 panel there, only because it looks like it has the room. Why? I'm thinking it's better to backup all your discs on your HDD and have them always available as an iso, but do tell if there's something I'm missing. Always happy to learn! 2. As for the XGA display, ThinkPad 240Z is so rare that you couldn't find its HMM here, neither can you find any information on Thinkwiki. 1. it comes with either a Celeron (R) 500Mhz ULV or PIII 600Mhz ULV (soldered onboard as far as I remember). 3. It comes with either 64MB RAM or 128MB RAM soldered on-board, with an official maximum of 192MB or 256MB, but I think you can get away with a maximum of 288MB or 384MB RAM with a 256MB stick of PC100 SDRAM. The XGA and SVGA panels seem to be the same size, but just finding the XGA cable alone is an impossible task, not to mention there are two types of displays for this computer (Typa A or B, both are TFT). My 14" T60P has arrived ! -Found most of the drivers but bluetooth and ir is not being found. -Full clean and polish of the lid. I like the shape and feel, the high resolution screen is amazing for me. Its pretty snappy for browsing in chrome. I have the 15" T43p and I don't call that heavy. You will see that no laptops at that time period that performs like your laptop and thinner and as rigid at the same time. "HEAVY" for a laptop on your lap is all relative. Once you have used something relatively light a T60 could feel heavy. Disassembly was a joy, bit fiddly around the corners but it turned out perfect. I just tried a wet polish with a magic eraser, looks good for first try. I have seen many T6X and T4X machines that have basically only sat on desks and these normally scrub up well. Newer more mobile hardware that are thinner and lighter tend to get more cosmetic damage especially if they have been hauled around in shoulder bags. I guess you already ordered, so it matters little, but I recently followed the msb0b T60 fan repair guide after the fan became rattly. I never felt comfortable lubricating fans before, and I do have a spare heatsink/fan assembly, but I figured out - what do I have to lose? To replace the heatsink I already have to partially disassemble the system and remove the old one; at that point separating the fan from it and lubricating is not a big deal. Indeed, it worked great - the rattling is completely gone. As to the high temperature, it is frequently caused by the thermal paste not making proper contact, rather than by the fan. Yeah, those rubbery coatings have a tendency to be really ugly and sticky when they disintegrate with age. Both my T60s suffer from the same problem. I've done a few T23 lids, my guess is it might also work on a T60. Yep, I remember that thread of yours; the lids looked much better afterwards. How do they hold up? The interesting thing about the T60 is that 14.1" and 15" units have different materials in the lid. 14.1" is magnesium composite, 15" is CFRP. This means that after stripping the rubberized paint, the lids might look different. According to the guy who stripped the X41 tablet lid down to the metal, there is a hard plastic coating under the rubberized paint, so maybe it will not be so different? I think someone also posted a method here to restore the rubberized coating as opposed to just stripping it. And the fan was cheap so i decided to replace it. Its nearly dead from 2 days usage at load. I want to buy a newr thinkpad. Nearing the end of 2018 there still are many refurbished T510s in stores and on the Internet.